#PickYourPinesol - I pick LEMON! Yes, I associate citrusy scents with cleanliness. I can't explain it but I find that when I smell something citrusy - it's automatically clean smelling. Little did I know that in the Philippines, most people too associate cleanliness to the citrus smell. I have been a Pine-Sol user for years. I switched to this brand because my friend Kath would tell me how effective it was. One observation was that she had three (3) dogs in her home, and they stayed inside the house at night. So if you can imagine, the scent of three dogs - but once you enter Kath's house. There wasn't an ounce of any doggy smell, I was amazed. In my house, I have 4 dogs - three of them stay outside and my garage reeks of dog smell. I've tried Lysol, laundy detergent but ntohing happened - there was still the doggy smell. One day, I told myself - why not try Pine-Sol, I mean there was nothing to lose! On our next supermarket trip, my Panget and tried Pine-Sol. Using Pine-Sol is life changing for us. My garage doesn't smell anything like a dog. I was so happy! My helpers in the house were amazed, they were actually relieved because they think that I have it my head that they don't clean the garage enough (because it was smelly! Haha!!) My house smells citrusy (I only buy Lemon) and clean. Our supermarket bill is a bit less because Pine-Sol is cheaper that the competing brand. 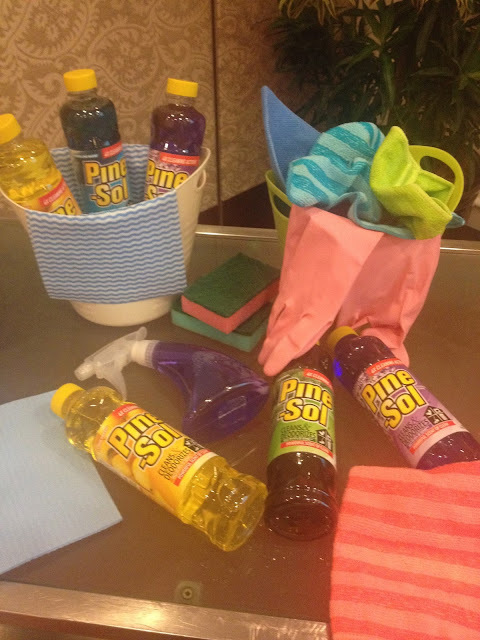 I felt that Pine-Sol is able to clean areas better - bedroom, bathroom, kitchen - name all the areas of the house - Pine-Sol can clean it. It smells better too! I remember my Panget always complaining because of the scent of the competing brand. Now, he's quite satisfied that it smells citrusy. Hahaha!! There are two ways to use Pine-Sol. One is concentrated and the other one is diluted. You can opt to use pure on to those areas with stubborn dirt or is smelly. You can dilute them and they'll still be *powerful*. I have this atomizer spray in every bathroom with diluted Pine-Sol, to it's ready to use anytime. No need to dilute as you use. Hahaha! Short cut, diba? And so when I was invited by a friend to the Pine-Sol event - I was ECSTATIC! I am a user, I really love the product and so I was so very excited to see what was in store for us. The invite for the event was very nice - I loved the bag, but more was I loved that the Pine-Sol variants were complete! At long last - I will be able to try the other scents! Of course, I had to open the Lemon. I am a creature of habit, this - I made sure to use it first. Hihi. I am actually saving the other scents for the other rooms. Am I weird? But I thought why not assign certain scents to each part of the house? Hahaha! You know, change things up a bit! 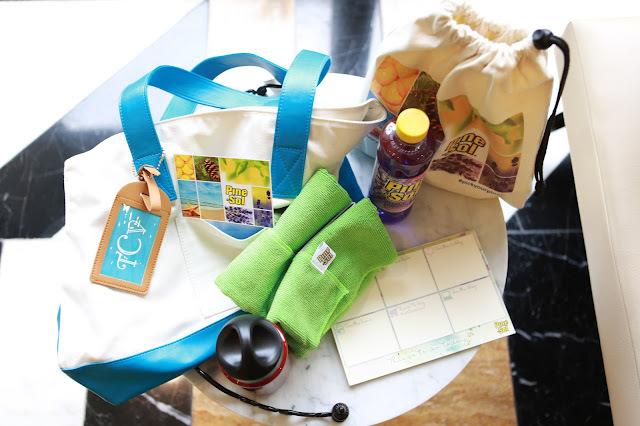 Hihi..
A few weeks ago, fellow mom bloggers and I were treated to a #SavorYourMeTime by Pine-Sol. It was very nice actually because our duties as mothers - never stop. We are on call 24/7. 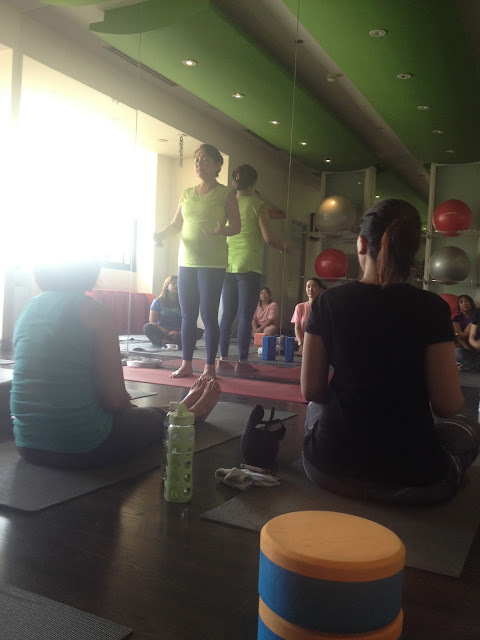 And one Friday morning - we had a relaxing *me* time out of the hustle and bustle of being *supermoms*. We spent an hour or so of quiet time. We learned about taking care of ourselves and we were made to feel *valued*. More often than not, our efforts are forgotten. I know we do not ask for anything in return, but sometimes - being appreciated is something we yearn for. I personally feel this way. I do what I do for my family, but sometimes - I can't help but feel that I'm doing so much yet no one appreciates me. I feel that I am working non-stop. How I wish sometimes, someone else can take the reign and let me rest - even for just a few minutes. When our Yoga teacher Jojo asked us what our *me time* was. I honestly, couldn't think of any. What I do know though is that when I am driving myself to pick up Kailee from school - when I'm in the car alone (despite the traffic)- I feel relaxed, re-energized. I feel good! I guess the quietness and being alone makes all the difference. I never thought that the driving alone would make me feel good about myself. Hahaha!! It was something I honestly did not expect to say. Hahaha! But then fellow moms agreed with me that being alone in the car is sometimes their alone time too. Hindi ako nag-iisa! Here is everyone with the our Yoga teacher Jojo. Pine-Sol made us moms feel important. They treated us to an hour of quiet time. A wonderful *healthy* meal to go with the talk that was given by nutritionists and dermatologist. 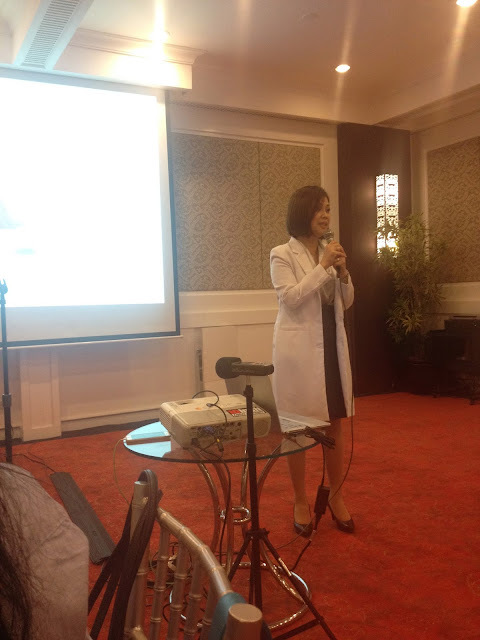 It was really all about taking care of ourselves as mothers and as women. 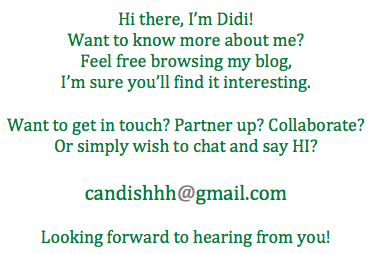 I have to say, it has been a while that I felt *pampered* like this - and it's really nice to feel valued. We all deserve to be pampered. I so loved that we got a goody bag filled with really, really nice things! 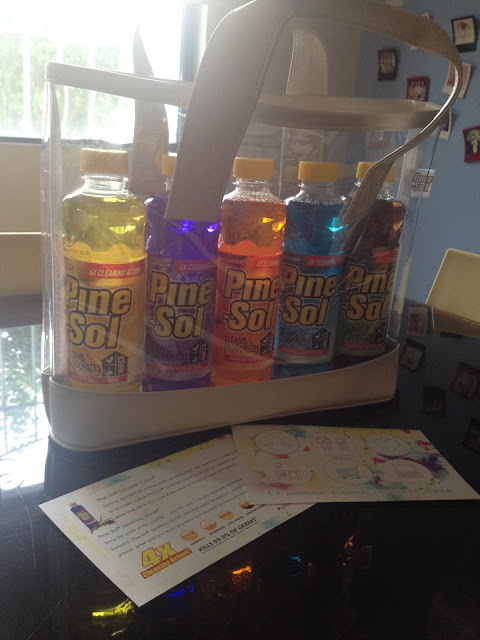 What I secretly loved was the additional Pine-Sol products to take home! Woohooo! Thank you Pine-Sol for pampering us and make us feel validated that what we are doing is worthwhile. Thank you Mish and Patty!